With the increasing emphasis on reconciling food security and other development aims with biodiversity conservation, integrated understanding of small-scale fisheries is more critical than ever. This research project will contribute fundamental knowledge of human-environment interactions in coastal marine systems, and help inform development and evaluation of innovative small-scale fisheries management strategies in Mexico and elsewhere. How do environmental and economic variability and institutional diversity shape the resilience and adaptive capacity of the coupled national and human systems associated with the small-scale fisheries of Baja California Sur, Mexico? The proposed activities will address the overall research question: How do environmental and economic variability and institutional diversity shape the resilience and adaptive capacity of the coupled natural and human systems associated with the small-scale fisheries of Baja California Sur, Mexico? 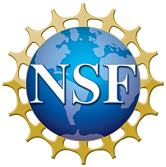 This project will 1) generate new social and ecological data; 2) synthesize and disseminate social, economic, and ecological data through an open source, web-based data portal; and 3) create targeted dynamic models of key CNH interactions that address core issues in CNH science, ecology, economics, and common-pool resource studies. Broader impacts will include training of undergraduate and graduate students and postdoctoral associates in CNH science, and developing the US and international capacity in the generation and application of CNH knowledge. The goals above will be achieved through primary data collection and synthesis and integrative empirical analyses and modeling. The broader impacts will be attained through 1) special CNH educational and training opportunities; 2) enhanced research infrastructure, particularly the web-based, interactive data portal; and 3) application of CNH research for societal benefit. Principal Investigators on this project are associated with University of Maine, Duke University, Scripps Institution of Oceanography UC San Diego, Sociedad de Historia Natural Niparajá, and Stockholm Resilience Centre of Stockholm University. Three years. January 2015 to December 2018.